Ringworm, or dermatophytosis, is a common fungal infection of the skin, hair and nails of people and small animals, especially cats. While the infection can be eliminated by the immune system in approximately three months, immediate treatment will ensure the infection does not spread to others in the household. Veterinarians Karen A. Moriello, from the School of Veterinary Medicine at the University of Wisconsin-Madison, and Susan Newbury, director of Animal Medical Services at the Dane County Humane Society, recommend the lime-sulfur dip as a cost-effective and safe treatment, even for young cats. Ringworm classically appears as a circular region of hair loss and scaling of the skin. The most common areas of infection are the face, ears, tail and feet (especially in the nail bed). Dermatophytosis infections may or may not be itchy. 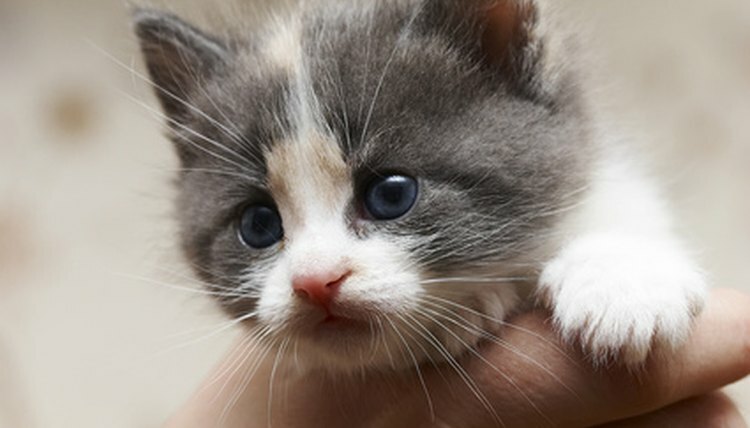 Infection can occur in any animal, though kittens and sick or aging cats are at higher risk. A veterinarian most often makes a definitive diagnosis by fungal culture. Topical treatment with lime-sulfur can be done at home or by a veterinarian. The most common preparation is an 8 percent concentration, or 8 oz. of lime-sulfur to a gallon of warm water. With tame cats, you can apply the lime-sulfur solution with a pesticide or rose garden sprayer. Un-socialized cats may be sprayed through a wire cage. A sponge should be used to treat the face and ears to ensure none of the solution gets in the eyes. The UC Davis Koret Shelter Medicine program recommends twice weekly application and approves the lime-sulfur dip for nursing and pregnant cats as well as kittens older than 2 to 3 weeks. Visible signs of ringworm in treated cats may begin to disappear within one to two weeks. The lack of visible lesions, however, must not be taken to mean a cure; the cats may still carry the fungus. The only way to verify cure is through weekly fungal cultures. The effectiveness of topical treatment is improved by combining it with a systemic antifungal to treat the immune system. In Drs. Moriello and Newbury’s study of dermatophytosis treatment in shelters, cats who received systemic treatment with Itraconazole in addition to lime-sulfur dips were cured in an average of 18 days. In general, lime-sulfur treatments are quite safe and have few negative side effects. Cats should be kept from grooming and licking themselves after application, as this can cause oral ulcers. Drs. Moriello and Newbury reported hair loss and dry coat as side effects in their study. Treatment with lime sulfur will also stain the cat’s coat yellow or green, though this effect is temporary and will fade as the coat dries. Lime-sulfur treatments are available many places online, though some retailers distribute only to veterinarians or require them to order the product for clients. Cost is approximately $15 to $20 for 16 oz. Additionally, most veterinarians will perform lime-sulfur dips in their clinics. Katherine Bryant began writing in 2004 for her school newspaper, "Student Prints." Her poems have been published in "Brazos Gumbo," and she won first place in Texas A&M University's Writer's Eye Contest. Bryant has a Bachelor of Arts in English and French from Texas A&M University.